1、Under the conditions of guaranteeing that the accessories, power supply and wiring have been made well and the appropriate parameters have been loaded into the software, check whether the voltage is normal, and then the laser power switch can be turned on under normal circumstances. 2、Wear goggles, tighten the screws of 1# and 2# reflectors mirror slightly, open the marking software, draw any graphics, and the carry out marking. 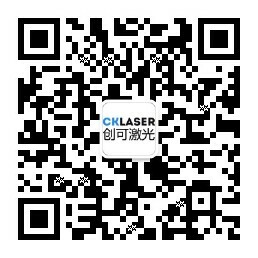 Place the light adjustment film at the laser light outlet to see if there is light. If the light is emitted out, the next step should proceed. 3、Place the light adjustment film on the back of the light guiding film, press the marking button, then refract the light of 1# reflector to 1# reflector and then to the center of the light guiding film to see whether the light spot is round, and if there is any deviation, 1 # reflector should be adjusted. If it fails after once operation, the operation should be repeated. After becoming aligned through adjustment, the light adjustment film should be taken off and the next step should proceed. 4、The base of light adjustment (there is a light adjustment film and a cross on the light adjustment base), press the marking button, and guarantee the light from 2# reflector at the center of the light adjustment base. If it fails after once operation, the operation should be repeated. After becoming aligned through adjustment, the light adjustment film should be taken off and the next step should proceed. 5、Remove the light adjustment base, install the scanning head, open the software → interface test → duration → 100000ms → turn on the light; Put the light adjustment film on the light outlet of the scanning head to see whether the light spot is round, and if it is not round, the #2 reflector should be adjusted. If it fails after operating once, the operation should be repeated. 6、The light path would be adjusted if the above is observed.